Sally-Anne specialises in and has particular research interests in: crowdsourcing; ICT based innovations, implementations and applications; career transitions and career decision making; and qualitative research methodology and data analysis. Sally-Anne would be interested in supervising research students in these or related fields. 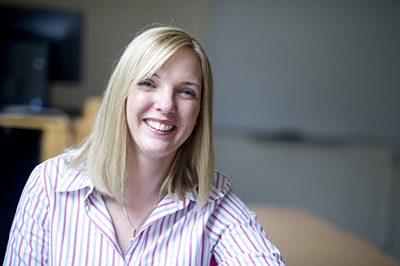 Dr Sally-Anne Barnes is a Associate Professor at the Institute for Employment Research, University of Warwick. With an established track record in research, she has worked on and managed a range of projects in the area of technology, careers and learning. Sally-Anne specialises in and is currently involved in researching: new forms of internet-enabled labour exchange, employability and career adaptability; individual career identities, learning and training; the development of high quality impartial labour market information; and the use of ICT to support the professional development of careers professionals. She is principally interested in the interrelationship between technology, work, careers and learning. Sally-Anne has been centrally involved in a number of projects investigating how individuals navigate the labour market and the narratives around these transitions and decisions. In addition, she has undertaken a number of literature reviews on employability, internet-enabled labour exchanges, career adaptability, career development interventions for the low skilled and for those in higher education, and on skills diagnostics and screening tools. Sally-Anne is an experienced qualitative interviewer and has particular expertise in qualitative research methodologies and data analysis techniques as applied to longitudinal biographical research, and literature review methodologies. Barnes, S-A. (2017). Review of trends and best practice in lifelong guidance (OECD Working Paper). Paris: OECD. Barnes, S-A. (with FGB, Cambridge Econometrics and Rand)(2017). Provision of data analysis and intelligence on skills and labour markets 2017 (Assignment 2 Labour market intelligence for non-expert audiences). Thessaloniki: Cedefop. Barnes, S-A., Green, A., Batty, E. and Pearson, S. (2017). Key worker models: What key worker approaches, capacity and capabilities are important at different stages of the journey to employment? (Talent Match Case Study Theme Report). Sheffield: CRESR/Big Lottery. Barnes, S-A., Wright, S., Irving, P. and Deganis, I. (2015) Identification of latest trends and current developments in methods to profile jobseekers in European public employment services : final report. Brussels: Directorate-General for Employment, Social Affairs and Inclusion, European Commission. Sally-Anne would be interested in supervising research students in: crowdsourcing; ICT based innovations, implementations and applications; and career transitions and career decision making.